(003657, 003658, 003656, 003655) Large levelling head II with panorama rotation and vibration-free stepless levelling. 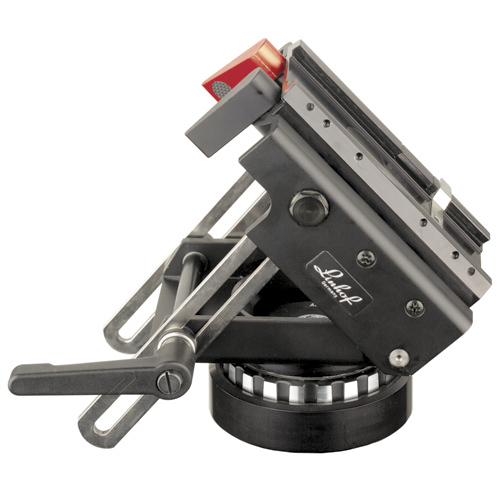 (031477, 032964) For professional tripods with 90 mm dia. 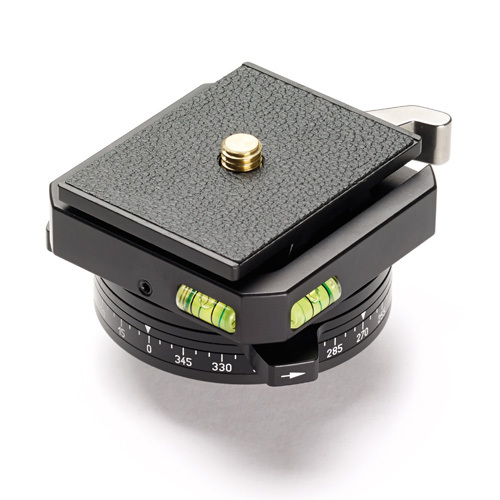 clamp mount. 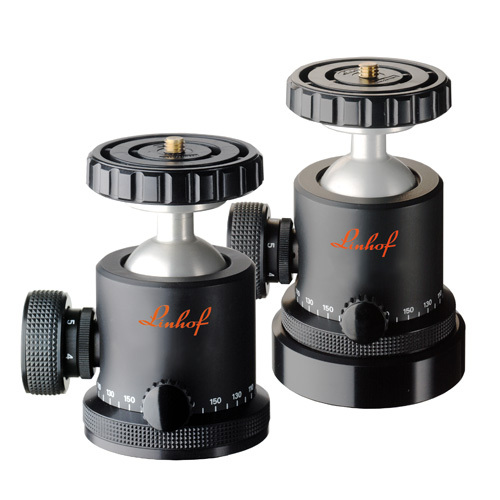 (003660, 003662) Linhof 3D Micro is designed for the use of for any precision camera requiring an accurate micro adjustment. 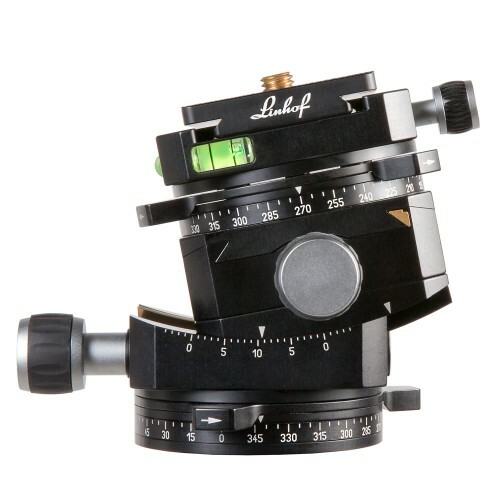 (003665, 003666) 3D professional levelling tripod head with panoramic top plate for cameras with a weight up to 5 kg. 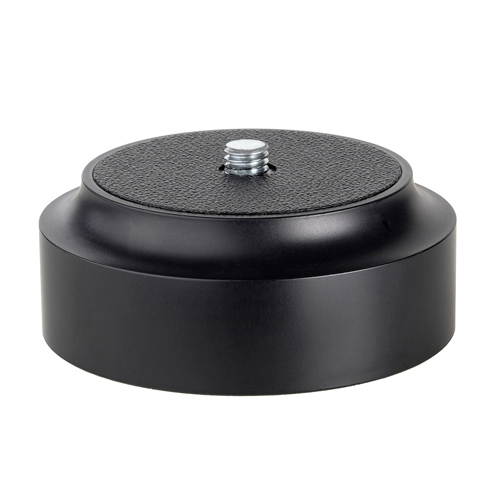 (003673, 003674) These plates can be mounted instead of the existing top plate supplied with the Linhof ballheads II and III. 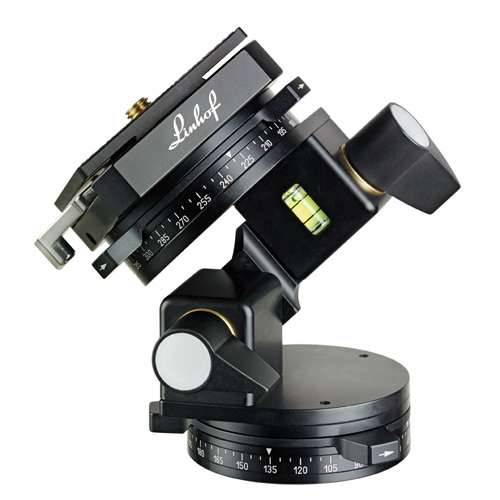 (003676, 003675) Medium-sized precision ballhead for professional use. Load capacity over 8 kg. 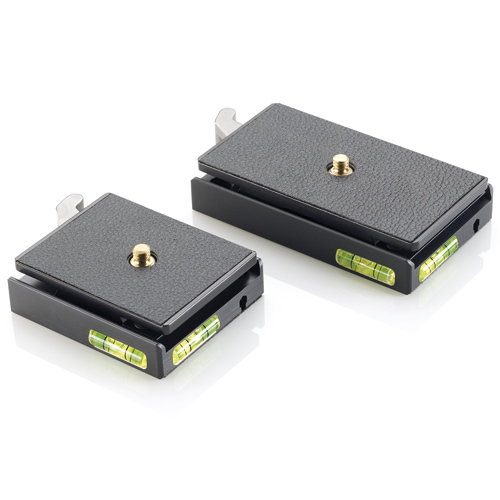 Quickfix I (003880), Quickfix II (003881) – quick lock tripod connectors for cameras and tripod heads. 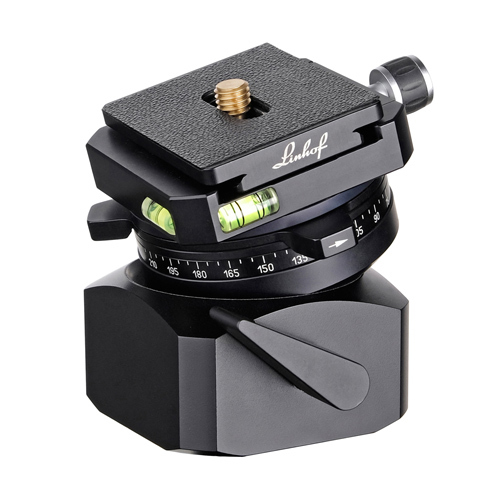 (003667, 003668) Highly compact and extremely sturdy levelling pan/tilt head with integrated dovetail quick-lock base.